The 2016 Chevrolet Camaro, Dodge Challenger, and Ford Mustang miss out on Top Safety Pick status. The latest American muscle cars offer significantly more performance than their predecessors from even just a few years ago, but there’s still room for crash safety to improve, according to a new round of tests by the Insurance Institute for Highway Safety. 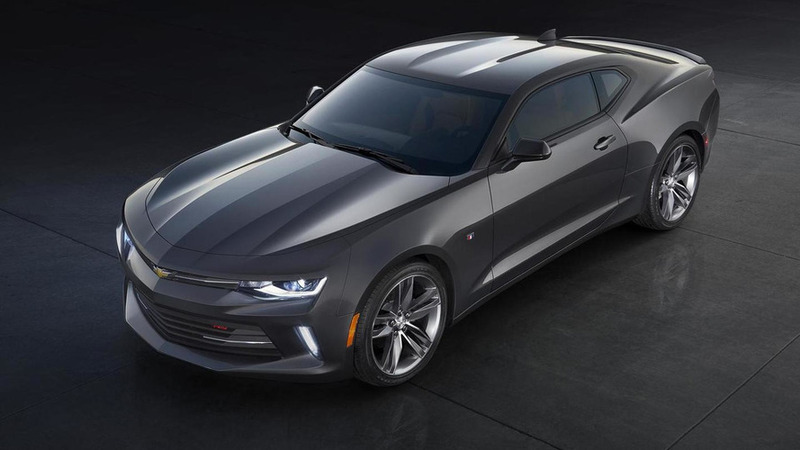 Among V8 versions of the 2016 Chevrolet Camaro, Dodge Challenger, and Ford Mustang, none of them scored the agency’s Top Safety Pick (TSP) honor. To earn the TSP accolade, a vehicle needs Good scores in the small overlap front, moderate overlap front, side, roof strength, and head restraint evaluations, and it also requires a Basic crash prevention system. “Given that sports cars have high crash rates, it’s especially important that they offer the best occupant protection possible in a crash,” says Adrian Lund, IIHS president. According to IIHS, the ‘Stang comes the closest to being a TSP, but there’s room for improvement. The coupe has a Basic crash prevention system and scores Good ratings in four of the five safety tests. However, a Marginal small overlap rating keeps it from earning the award. The pony car’s roof buckled during the evaluation, and the door hinge pillar and instrument panel intruded into the cabin. The good news was that sensors found a low risk of driver injuries. Chevy can celebrate the Camaro’s Good score in the small overlap test, and IIHS finds a low risk of injuries. The coupe misses being a TSP in part due to an Acceptable roof strength rating. It also lacks a forward collision warning system. When asked about the Camaro's performance in the evaluations, General Motors told Motor1: "We aren't commenting on the specifics of the IIHS tests." The aging Dodge Challenger ranks the worst among this trio. It scored Marginal, the institute's second-lowest rating, in the small overlap test. 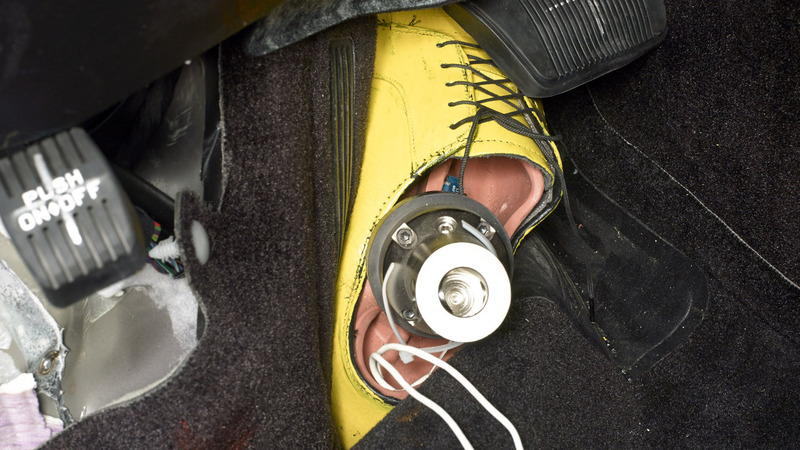 During the evaluation, the wheel moved into the occupant compartment, which trapped the driver’s foot. Technicians had to unbolt the ankle to free the dummy. “Entrapment is pretty rare. That’s only happened five other times in a small overlap test,” Lund said in IIHS’ announcement. The Challenger also received Acceptable scores for both the head restraints preventing an injury and the strength of its roof. The Challenger does have a Basic collision prevention system, though. In response to the results, Fiat Chrysler Automobiles told Motor1: "No single test determines overall vehicle safety. FCA US vehicles meet or exceed all applicable government safety requirements. FCA US urges all motorists to follow all applicable traffic laws and maintain control of their vehicles accordingly." If you just want to watch the carnage, the video above shows the tests from multiple angles. Check out the clip below for IIHS' in-depth explanation of each vehicle’s performance. Visit our YouTube channel for more crash test videos. RUCKERSVILLE, Va. — Think “muscle car” performance, and images of speed and power are more likely to come to mind than crash tests and safety ratings. Because no one buys a sports car to drive in the slow lane, the best all- around occupant crash protection is crucial. The Insurance Institute for Highway Safety (IIHS) recently put a trio of iconic sports coupes through their paces, and unlike more sedate sedans, none earns the scores needed to clinch a TOP SAFETY PICK award. IIHS evaluated 2016 models of the Chevrolet Camaro, Dodge Challenger and Ford Mustang in the full battery of crashworthiness evaluations. The Mustang comes closest to earning TOP SAFETY PICK, while the Camaro falls short in one category and lacks an available front crash prevention system. The Challenger is most in need of improvement. To qualify for TOP SAFETY PICK, vehicles must earn good ratings in the small overlap front, moderate overlap front, side, roof strength and head restraint evaluations and have a basic-rated front crash prevention system. To qualify for the Institute’s highest award, TOP SAFETY PICK+, vehicles must earn good ratings in the five crashworthiness tests and an advanced or superior rating for front crash prevention. IIHS doesn’t typically crash-test sports cars as they make up a small share of the consumer market. IIHS engineers decided to evaluate these models with optional V-8 engines because they are big sellers in their class, and consumers often ask how they would perform in crash tests. Insurance data point to high losses for sports cars. As a group, they have the highest losses among passenger vehicles for crash damage repairs under collision coverage, data from the Highway Loss Data Institute show. Collision coverage insures against physical damage to the at-fault policyholder’s vehicle in a crash. “Given that sports cars have high crash rates, it’s especially important that they offer the best occupant protection possible in a crash,” says Adrian Lund, IIHS president. The Camaro, Challenger and Mustang all earn good ratings for occupant protection in a moderate overlap front crash and side impact. In the Institute’s newest and toughest crashworthiness evaluation, the small overlap front test, the Camaro earns a good rating, the Mustang earns acceptable, and the Challenger is rated marginal. the 5-foot-tall rigid barrier on the driver side at 40 mph. It is an especially challenging test because it involves a vehicle’s outer edges, which aren’t well-protected by the crush-zone structures. Crash forces go directly into the front wheel, suspension system and firewall. The Challenger wasn’t up to the challenge of the small overlap test. Extensive intrusion into the lower occupant compartment limited survival space for the driver and resulted in a poor rating for structure and for leg/foot protection. Measures taken from the dummy indicate a high likelihood of serious lower leg injuries. In contrast, survival space for the driver in the Camaro was well- maintained, and the risk of injuries to the dummy’s legs and feet was low. The Camaro was redesigned for the 2016 model year. “The Camaro’s safety cage is built to resist intrusion in a small overlap crash, and that’s good news for Camaro drivers,” Lund says. The Mustang’s structural performance in the small overlap test fell short of.over the Challenger. The roof buckled, and the driver’s survival space was compromised by considerable intrusion of the door hinge pillar and instrument panel. Still, measures taken from the dummy indicated low risk of injuries to all body regions, including the legs and feet. The Camaro and Mustang earn good ratings for head restraints and seats to protect against neck injuries in rear crashes. The Challenger’s head restraints are rated acceptable. The Mustang earns a good rating for roof strength, and the Camaro and Challenger earn acceptable. Stronger roofs crush less in rollover crashes, reducing the risk that people will be injured by contact with the roof itself and the risk that unbelted occupants will be ejected. Strong roofs are especially important for sports cars, which have among the highest driver death rates in single-vehicle rollovers. Ford and Dodge offer optional forward collision warning systems on the Mustang and Challenger. Both coupes earn a basic rating for front crash prevention because their systems meet performance criteria set by the National Highway Traffic Safety Administration.